Dallas Terlich is a Shepparton local. He is the pastor for the South Shepparton Community Church, but looks more like the local labourer. He’s passionate about reforming child protection and, with his wife, is foster carer to a couple of local children. He runs the after school program at St Andrews and an employment program for long term unemployed people along with his pastoral work; he works closely with Dept of Justice and will soon finish a law degree. Dallas is leading a new way of working with communities lost in the system. He respects it but also challenges it. As he says, it is people who help people, not organisations. Fairley Foundation is supporting the development of a program run under the direction of Dallas at the St Andrew’s Church, South Shepparton. This will see the expansion of the current after school program, the mid week play group and Friday night youth group. Staffed largely by volunteers, Fairley-inspired funding will see the program be able to employ staff who will work under the direction of Dallas to provide what children and families in this highly marginalised area need in order to gain the agency themselves to succeed in education and look to a future that is not dependent upon welfare and inevitably involving the criminal justice system. 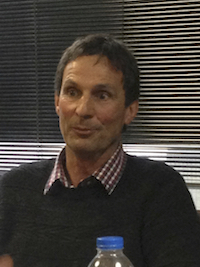 Peter is a paediatrician with over 40 years experience. Peter calls a spade a spade and a system that is not working a system that is not working. Three years ago he transferred 1 day a week of his practice to three neighbourhood schools that had students living in significant disadvantage. Having had turn rates of less than 40%, over the time he’s been based at the schools only one person has missed an appointment. Peter works closely with the children and families at the schools. He knows the Indigenous families, who is related to whom and how the families work together. He connects with his patients because they know he knows who they are. Peter is frustrated with the blockages in the system. On the basis of his years of work, research, data and assessment, as well as his close collaborations with the Neighbourhood schools principals, he is proposing a three year program in these schools that will incorporate play therapy that will work with the children most in need of support due to abuse and neglect. Fairley foundation has agreed a challenge grant of $30,000 that will support the training of the play therapists on the confirmation that the total funds for the three year project are in place. Peter is a dynamic, committed, ‘take no prisoners’ change agent. 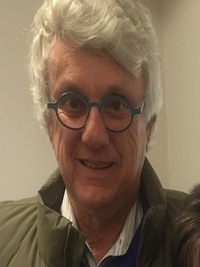 Daryl Sloan works for RIAC (Regional Information and Advocacy Council) and is an incredibly highly regarded member of the Shepparton community. 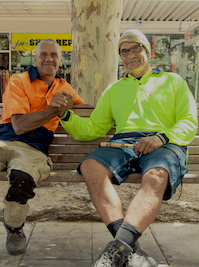 He has formed meaningful and trusting relationships with many of the people who are homeless and sleeping along the riverbank. Daryl helps them out when he can with tents, sleeping bags, food and anything they need as it comes up. A proud Indigenous man with an incredible story to tell and a deep knowledge of and connection with Country. We inspired by Lindy Tennant and the work she does with children at Mooroopna Primary and Secondary schools. 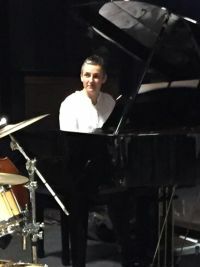 A tireless educator, from dawn to dusk, in the practice rooms, the rehearsal rooms, on the stage, in the classroom, Lindy can excite the most apprehensive child through the magic of music. Children hang off every word, every note, every laugh and smile. They are encouraged, believed in, supported and celebrated. With support from the Fairley Foundation Lindy teaches years 5 and 6 children at Mooroopna Primary trumpet, trombone, saxaphone, flute, clarinet and drums then brings them all together in a band rehearsal each week. The added benefit is that the children also play in the Secondary School band and so get used to going to the school and being with older children which makes that often challenging transition from primary to secondary that much easier. We’re working closely with Lindy and our long term partner, Mooroopna Primary Principal, Steve Rogers, to monitor the progress the children make not only on their instruments, but in their socialisation in school and in their transition and progress through to Secondary, and looking at the relationship between these outcomes and the music program. 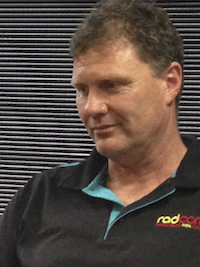 What Mark Rumble doesn’t know about social issues in Shepparton isn’t worth knowing….or so it seems. Mark has a calm, prosaic attitude to the world that belies his manic levels of activities. These range from driving from Shepparton to Melbourne to visit someone in hospital, to visiting an older Indigenous man roasting in the heat as temperatures soar and from gathering second hand hospital equipment from GV Health to transport to his hospital project in Kenya, to driving the community bus to pick up children for the After School program at South Shepparton Community Church – and that’s just some of what he does outside his paid work. He is Chaplain at Shepparton East Primary School, senior advisor to the Salvation Army and all round good guy. Some things are just meant to happen – Nicole Thorn found herself unexpectedly living in Shepparton having moved from Melbourne, not sure of what she would be doing and fully intending to miss her vibrant musical life in the big smoke. 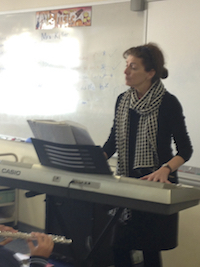 But with little time to wonder what she would do, she has been working magic with music at a number of primary schools in the wider Shepparton area and is in hot demand as teacher and musician. 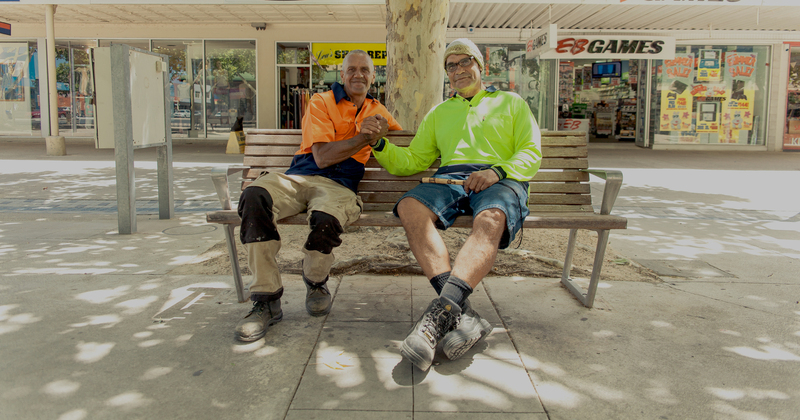 If you’ve got all day, have a yarn with Carl, a beautiful Indigenous man with a view into the past as broad as the ocean and a unique calmness about the present ….Carl is a proud Bangerang man who has worked as supervisor in the Radcom Employment Program for six years. He trains and mentors long term umemployed people to become employable. And he recently got his pilot’s license! Dixie Patten is a friend and colleague of Carl and a Yorta Yorta man. 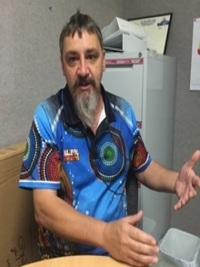 He has also worked in the employment program and is known for his quick wit and as a skilled artist with a great love of and knowledge of local Aboriginal history. 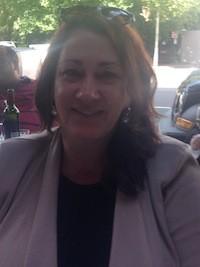 Lisa McKenzie is keeper of the Shepparton Lighthouse – well, EO of the Lighthouse Children’s Project, a change agent role if ever there was one! Lighthouse was an outcome of the two philanthropic summits (2011 and 2014) led by Fairley Foundation, bringing the major trusts and foundations from Melbourne to Shepparton to learn about the issues of concern within the community and how a collective approach could help. Just 18 months old and the Lighthouse has made huge strides, with data and conversations with the community well collected and documented and key projects responding to the top priority issues underway. This has not been easy and has required an acceptance that more of the same would not create the change the community wanted. As a change agent Lisa is managing this process with vision, sensitivity and hard work.